How would it feel if there is someone who supports your birth-vision, believes in your intuition and helps to build your confidence in the process? 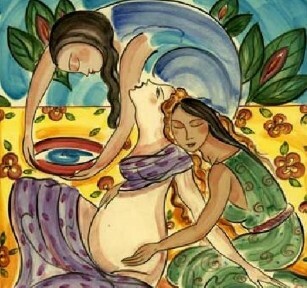 Birth is life transforming, sensual and intimate. While exciting it is also challenging; it requires to surrender, opening up and letting go. How can you prepare for that? recover, adjust and re-define your relationships with your partner, family and friends. All services are flexible and designed for your personal needs in the NYC Metro Area, Westchester County & Southern Connecticut; available in English and German.